Commuting on your bike is getting smarter. Not only can you place a dedicated sat-nav onto your handlebar, but smart clothing is evolving to the point where you can also travel without having to take your eyes off the road. And if you're looking to keep track of your exercise progress, there's a wealth of cycling wearables to pick up. But while these GPS-packing devices can help you navigate the roads, none have yet to harness this tech to help keep your bike safe. Enter, Mission Bicycle Company, a startup in San Francisco aiming to change how you look after your wheels through its latest model. 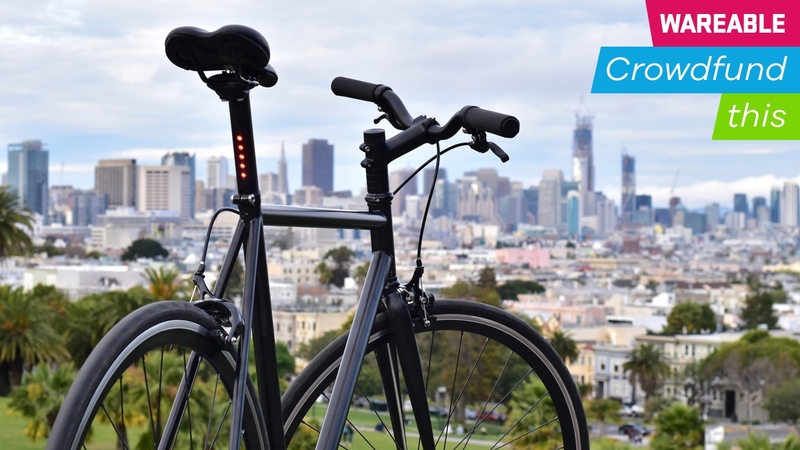 Currently available on Kickstarter starting at $500, the Lyra aims to use integrated GPS to make sure you never lose track of the bike, while also offering smart lighting, built into the frame, to help you stand out to cars when in the saddle. We spoke to Mission Bicycle's product designer Ashton Smith to find out just what the Lyra has in store for backers and why it could offer you peace of mind in comparison to other alternatives. "There's so many things out there that can theoretically solve this problem — the safety of a rider and the safety of their bike. You can slap on any bluetooth thing like Tile and you can slap a light on a bike, it's not anything new. "But to do it right and to integrate it not only within the bike but just within the life of a user and a commuter is really a challenge. You need everything to work together without thinking about it and without adding steps to someone's life," said Smith, whose background includes professional mountain biking. Since this is Mission Bicycle's fourth product to hit the crowdfunding scene, he also indicated what's different this time around and the difficulties behind creating a bike with GPS. "With Lyra, everything is integrated and hidden, so when the GPS and lights are off during the day you can't even tell that there's anything else going on. Every individual piece presents its own challenges, and when you put them together, new challenges arise from that. "GPS is tricky — it uses a lot of power. We're the first people to have integrated GPS manufactured in a normal bicycle. You see it a lot of times in motorised, electric bikes, but those have, a lot of the time, around 18 pounds of battery in them. We have one singular battery that can function everything. "The behaviour of the GPS, as well, is pretty tough because we wanted to communicate when it's necessary, and at the best chance you have at getting your bike back, but not transmitting data all day long where it's going to burn itself out really quickly," Smith told us. And while GPS is the Lyra's way of keeping your bike safe, its innovative lighting is its plan to keep you safe. "The way we've configured our lights is to make sure there's a spread outward around you. Normally a car's headlights, and your headlight on a bike, is going in the same direction when you're actually side by side. "Your light would usually get drowned out by a car's big headlights, so casting light to the side gives you a great presence on the road, and it's a huge safety feature for the bike." So, imagine your commute to work. Nothing would change from your regular journey, only you would be able to keep track of the bike's location whenever you needed to through a smartphone app and potentially increase the chances of cars seeing you when riding home in the dark. That's always the big question here. While some crowdfunding investments will see you only part with relative pocket change, this is on the pricier end of the spectrum. As a result, it's important to consider how the Lyra would integrate into your daily life and if the features that help it stand out are worth the plunge. The bike is designed to make things as easy as possible, with the only interaction you have with the device being the button used to adjust the lighting. That means there's no tethering for you to worry about controlling, and the removable, USB-chargeable battery means you don't have to plug your bike into the wall. And with Mission already bringing several products to market through Kickstarter, the chance it meets its projection of September this year would also appear to be fairly likely. As Smith indicated, the project is ready to hit the ground once certifications — which is what a large chunk of the raised funds will go toward — are confirmed. Initially, the Lyra bikes will only be available in the US once built in the San Francisco workshop, but for those looking for a bike which seamlessly integrates security and safety, this feels like a strong project to get behind.